Lots of people in the world wonder who God, Jesus and the Holy Spirit is. While some people never heard of God, Jesus or the Holy Spirit. And some people don’t believe in God, Jesus and the Holy Spirit simply because they haven’t learned about Them. Or they’ve just received wrong information about Them. And some people just refused to believe in Them. Well I’m here to set the record straight once in for all about who God, Jesus and the Holy Spirit is. Who is God? 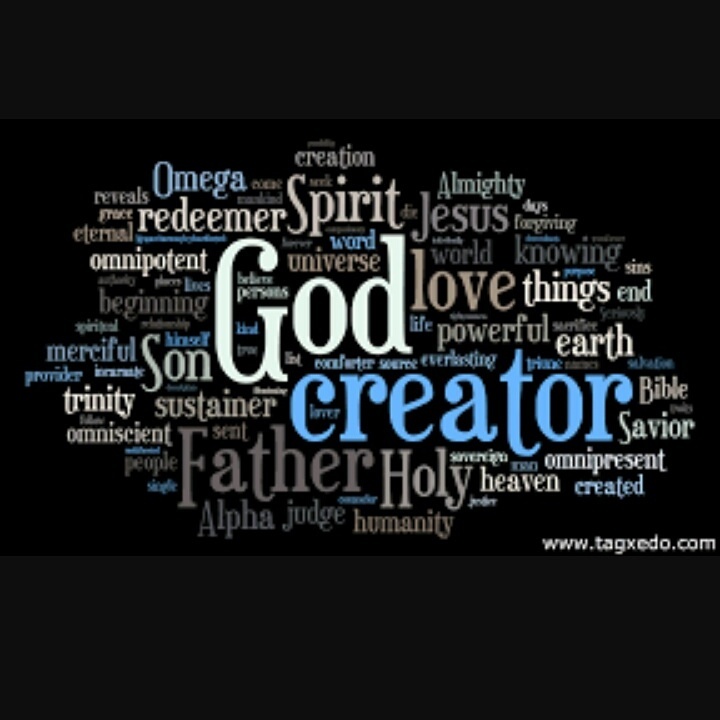 God is the CREATOR of all creation. Everything that has to do with the universe and the earth, God created them. People, planets, stars, sun, moon, sea, animals, plants and everything else that this life produces was created by God. And that is why His declared children referred to Him as Father. Now, let’s look at a couple of scriptures from God’s book called the “Bible” that talks about who He is. Let’s look at “Genesis” chapter 1 verse 1, 25 and 27. It’ll be even better to read the entire chapter to get all the details. Who is Jesus? Jesus is the SON of God. He is the image of the invisible God, which makes Him God. I know that sounds confusing right now but it won’t be once we learn more about the word of God which comes from the book called “Bible.” Pretty much, God got a physical body for Himself through Jesus. Jesus the Son and God the Father are connected which makes Them ONE. And that’s why Jesus is God. Jesus is also the Savior of all humanity and the Lord to those who have accepted Him. Let’s look at some scriptures from the “Bible” that describes Jesus. Who is the Holy Spirit? The Holy Spirit is God’s invisible Spirit, which makes Him God. The Holy Spirit also lives in God’s declared children. So God, Jesus and the Holy Spirit is God because They are all connected. Now let’s look at some scriptures from the “Bible” that talks about the Holy Spirit. So whenever we think of God from now on, let’s think of Him as God the Father, the Son and the Holy Spirit. They are three in ONE. And let’s look to God for anything and everything that we need. P.S: It will be great to get the book called the “Bible” to read God’s word in order to understand God better. There’s three versions of the “Bible” you can get through the links below. Next postWhy did Jesus come?